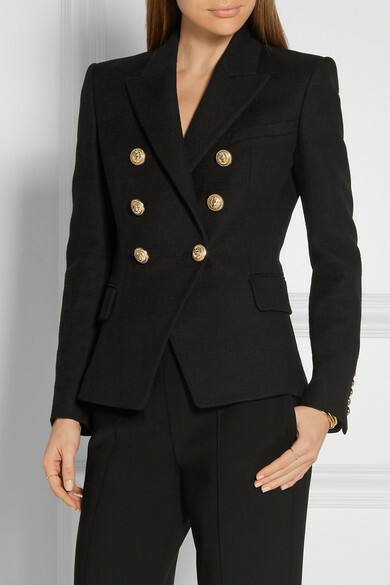 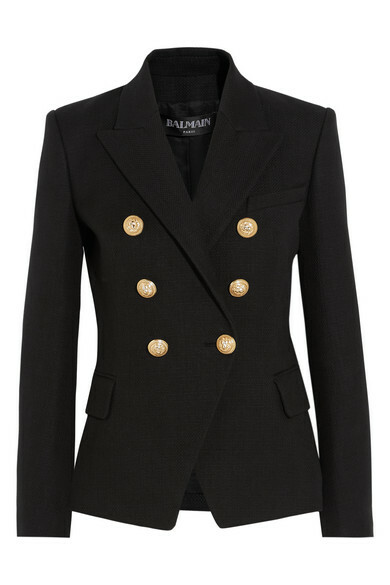 Balmain's flattering blazer is designed to emphasize a narrow waist. 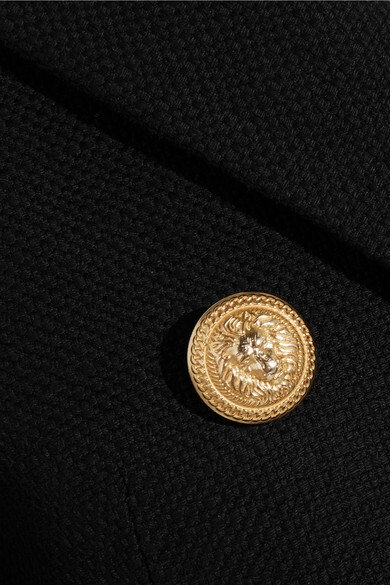 Crafted from basketweave cotton, this timeless style is detailed with the brand's signature embossed gold buttons and sophisticated peaked lapels. 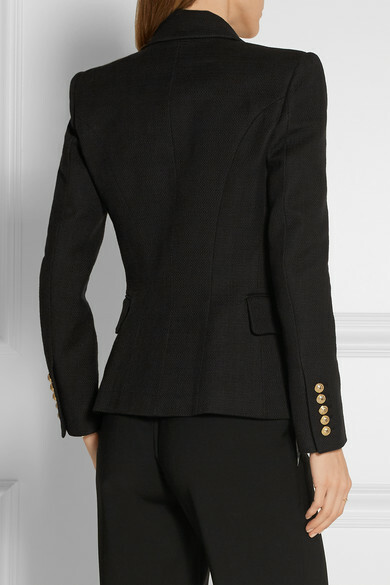 Pair yours with black wide-leg pants. 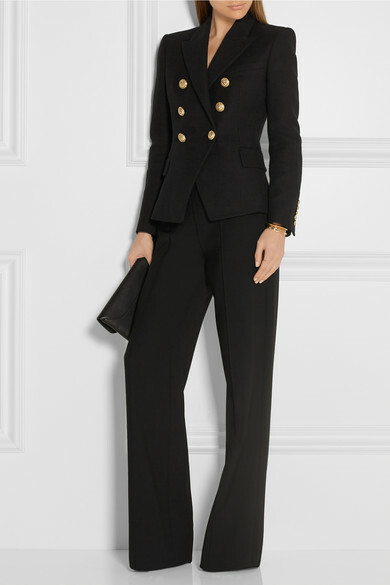 Shown here with: Adam Lippes Pants, Chloé Tank, Givenchy Clutch, Tom Ford Sandals, Pamela Love Ring, Isabel Marant Cuff, Arme De L'Amour Cuff.